Driven by her hunger for knowledge, Margaret Munnerlyn has always loved reading. She has a very analytical mind, and treasures the constant opportunity for discovery that books offer. That’s why writing seemed a natural profession for her; it would allow her to contribute to the world she grew up studying in a lasting and impactful way. Ms. Munnerlyn pursued her interests at The Lafayette Academy, where she earned a certificate in 1973, and at the Albert Merrill School, where she earned a certificate in 1977. She then jumped right into the field, focusing her work on the inspiration she gains from her surroundings. Over the years, Ms. Munnerlyn also worked as a director, translator, and researcher for a play about Puerto Rican culture, and as a reading tutor for both college students and grade school students. In 2004, she released a book, “Food for Thought,” about her life experiences. When Ms. Munnerlyn isn’t writing, she is active as a holistic herbalist. She believes that medicine is a short-term fix, while herbs present a more natural and long-term solution. She does most of this work pro bono, and is proud of having healed and changed the lives of hundreds of people. 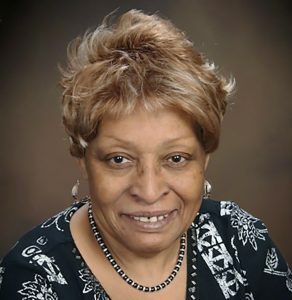 As a testament to her hard work and dedication, Ms. Munnerlyn was honored with the Editors Choice Award in 2006, 2004, and 2003, the Poetry Ambassador Award in 2006, and an Award for Exemplary Performance in 1985. She also earned recognition from International Who’s Who in Poetry. Ms. Munnerlyn attributes her success to her mother, Georgie Frances Moultry, her father, Peter Moultry, and her cousin, J.T. Snead, for exposing her to children’s literature. She also credits her listening skills. In her free time, Ms. Munnerlyn enjoys listening to music, dancing, singing, and watching PBS.